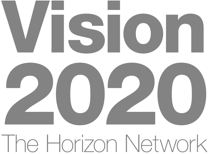 The MORE Project was started by Universities Austria (Uniko) in 2015. After a successful first academic year, the MORE Project is now offered at all 21 Austrian public universities in Vienna, Graz, Klagenfurt, Linz, Salzburg and Innsbruck. Asylum seekers and recognised refugees have the possibility to attend university courses, expand their knowledge and improve their language skills. Through the MORE Project Austrian universities hope to open access to higher education and future perspectives to people with migration background as well as benefit from mutual exchange.  Asylum seekers and recognised refugees can attend selected courses at the Alpen-Adria-Universität Klagenfurt. The non-bureaucratic admission procedure allows MORE students to be enrolled as non-degree seeking students, they are exempt from tuition fees, they have access to the library and can take exams at the end of the courses they attended. The goal of the project is to include MORE students in the university as quickly as possible, recognise their strengths and build upon them. What does the MORE programme offer you? Possibility to take exams at the end of the semester (if passed successfully, the grades will be listed on your certificate of academic performance). Who can take part in the MORE programme? As the language of instruction is either German or English, you need to have good knowledge of English and/or German (level B1 in accordance with the CEFR, Common European Framework of Reference for Languages). You would like to continue university studies you have started in your home country or would like to enrol at an Austrian university. * MORE students are not enrolled in a specific degree programme, but can choose from a range of courses in the various fields of study at AAU. If you are currently receiving “bedarfsorientierte Mindestsicherung”, please ask your “Arbeitsmarktservice” about possible financial consequences before signing up for the MORE programme. If you have a contact person in Austria, please add his/her contact details (name, institution, phone number, email address) as well. Please check your email account regularly, you will be scheduled an appointment for your interview at the International Office. Be present for the interview and online registration at the International Office of the University of Klagenfurt. Enrol as a MORE student at the Admissions Office (“Studien- und Prüfungsabteilung”). Have a look at the course list provided by the International Office, select courses and register for them online using your AAU student account.